This classy motorbike from Ducati looks gracefully and fancy in its own terms. The magical appearance of the vehicle is sure to serve as an eye catching element on road thereby pulling the crowd towards it. The attractive design of the fairing and eagle eyed headlamps are the major plus points in its design as it adds macho appearance. 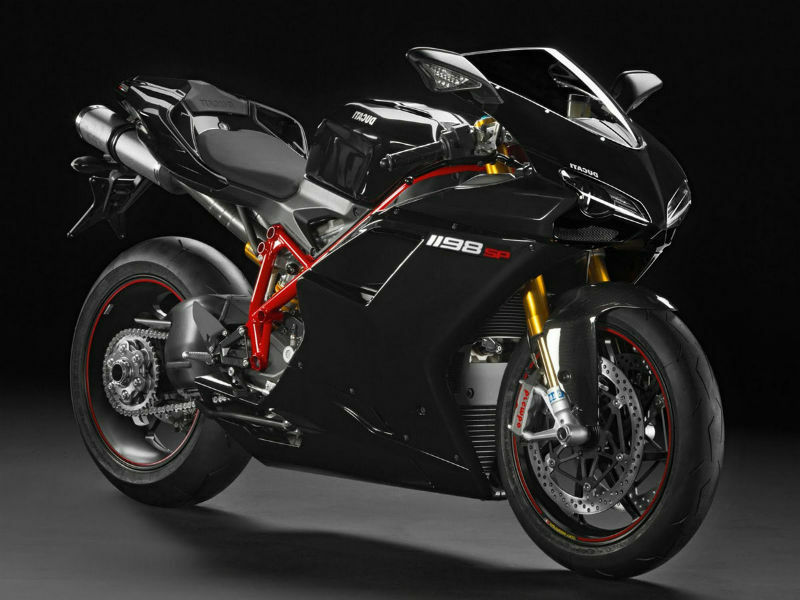 It is not only about the looks, the advanced technology used makes it the real super bike. The Superbike 1198 SP from Ducati comes with proficient 1198.4 cc, L twin, desmodromic, liquid cooled, Testastretta Evoluzione engine. Designed with the highly efficient cooling system and vacural crankcases, the engine assures good performance. The maximum power generated from this is about 125 kw at 9750 rpm and the highest torque achieved is 131.4 Nm at 8000 rpm. With the hugging sleek lines and stylish body curves the bike serves the need of an aerodynamics very well. The amazing bodywork of the vehicle helps the riders to drive effortlessly and with the full control of the motorbike. The light weight structure of the bike is other major advantage as it takes care of its quality performance and even promises higher speed. The new Ducati Superbike 1198 SP is known for its amazing performance and comfortable driving experience which is made possible because of its chassis. The quality suspension of the vehicle including the Ohlins forks and single sided swingarm guarantee problem free, smooth ride. Further the efficient Brembo Monobloc brakes used assure quick halting of the vehicle. 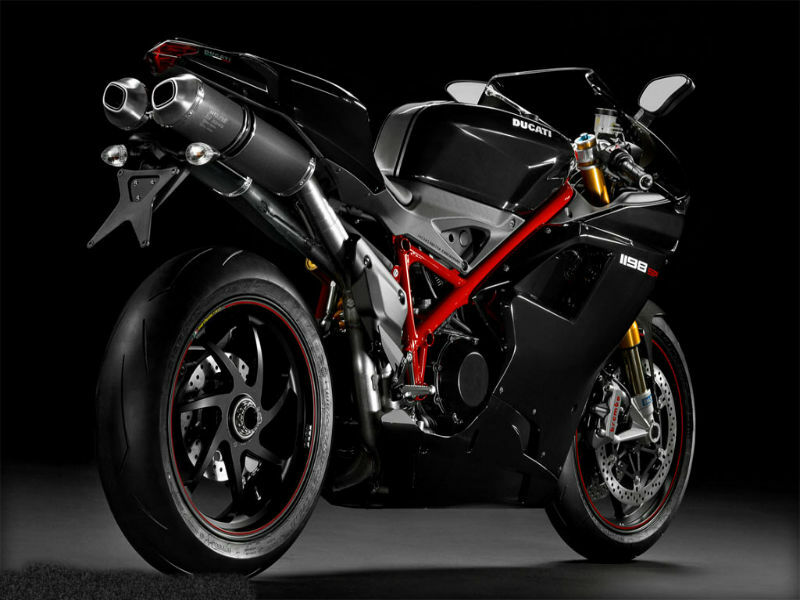 Like any of the other Ducati vehicles Superbike 1198 SP is also expected to give a good mileage. 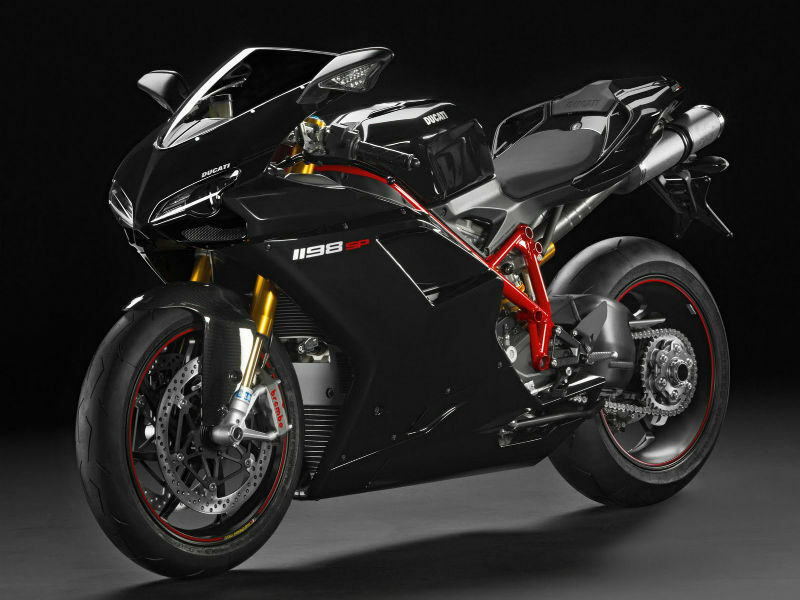 The stylish, tough and attractive Superbike 1198 S is available in two shades namely diamond black and red. The ex-showroom price of the vehicle is about Rs. 24,66,000.